For our September JigUFacturer Design team challenge, our theme was artist inspiration. Of course numerous artists inspire me, but translating an inspirational work to wire was a bit of a challenge. I thought of all the women artists I love and didn’t really have a concept. Then as I was packing for my Michigan Cottage retreat, I looked at Carol Myers’ pencil prayers again. And there was my inspiration. 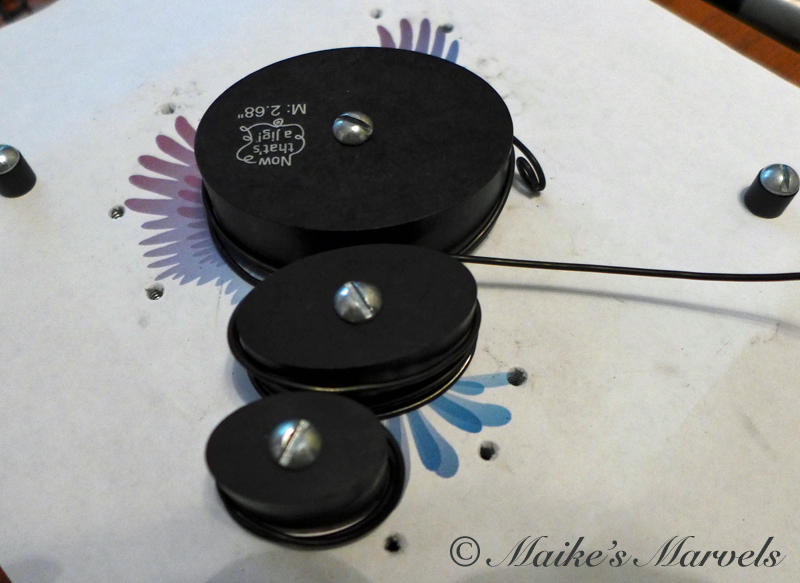 I had gotten the large oval pucks from Brenda Schweder’s Now That’s a Jig! Booth at Bead & Button, and now I could put them to use. I planted them on top of a commission I need to tweak, cut off some wire, and started bending away. The beautiful form did not really need embellishment, but I knew Brenda would want me to Marvelize it, so I thought of the colors to put on the wax. 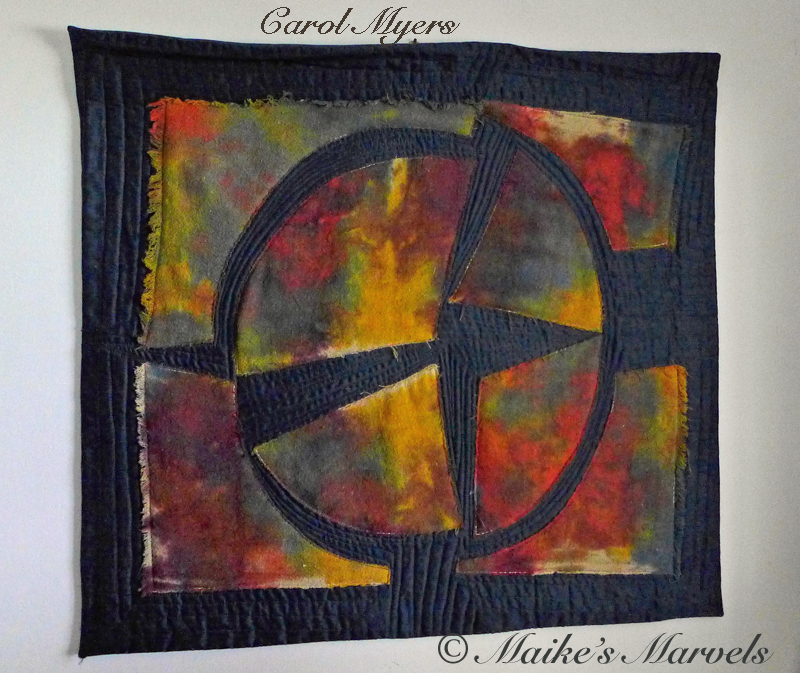 I associate numerous vibrant colors with Carol, but also earth tones from some of her work. 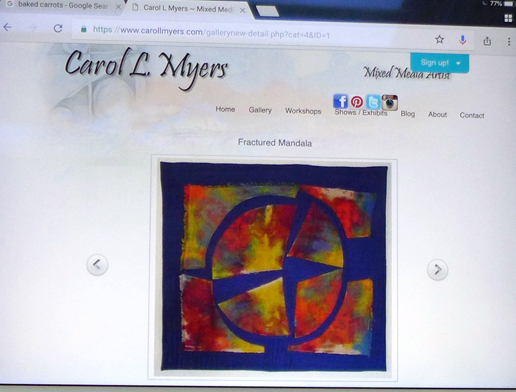 So when I looked at her web site, the Fractured Mandala caught my eye. I picked out those colors and started waxing. Soon I had the colors on. And with the pigmented encaustic shimmering through, it has a similar effect as Carol’s ink dyes on her original fabric piece. 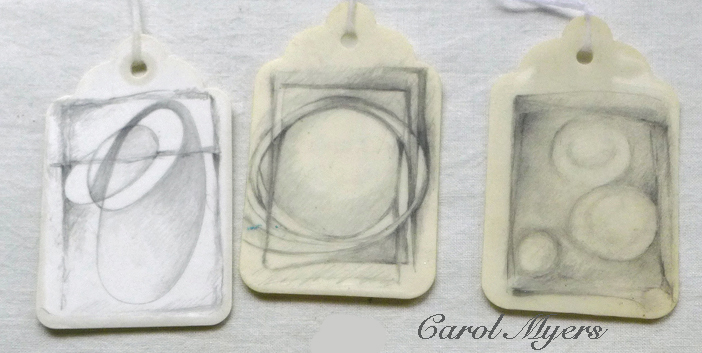 A week later I got to see the work in person at Carol’s studio. So go get your Now That’s a Jig! 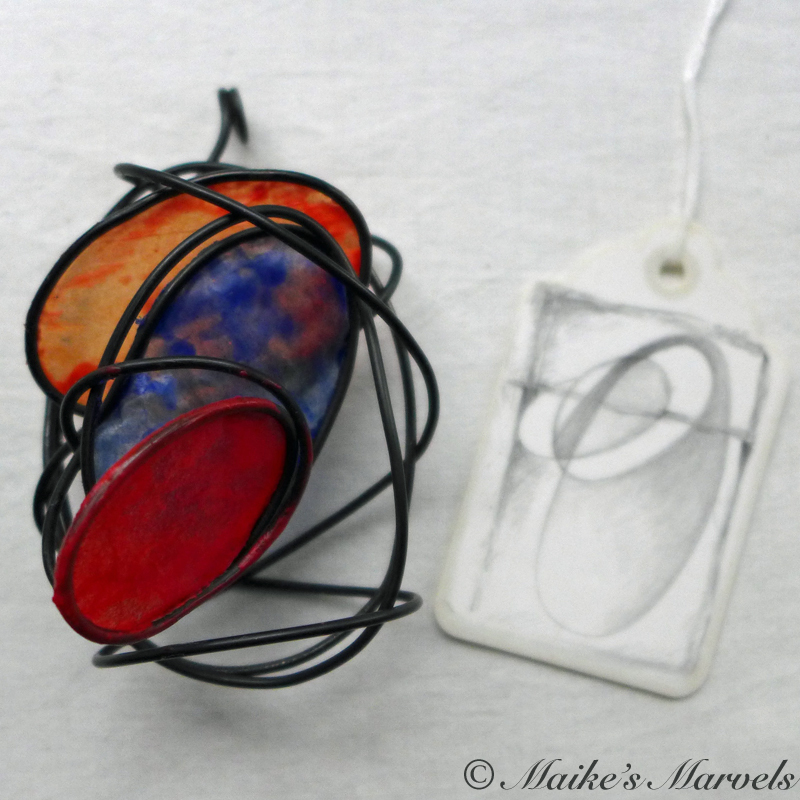 out and play along with the #inspirationalartistsntajchallenge #Nowthatsachallenge! for Now That’s a Jig! There are challenges every month on the JigUFacturer Facebook page, and love the inspirational creativity everyone comes up with. The design Team has some amazing inspiration pieces. 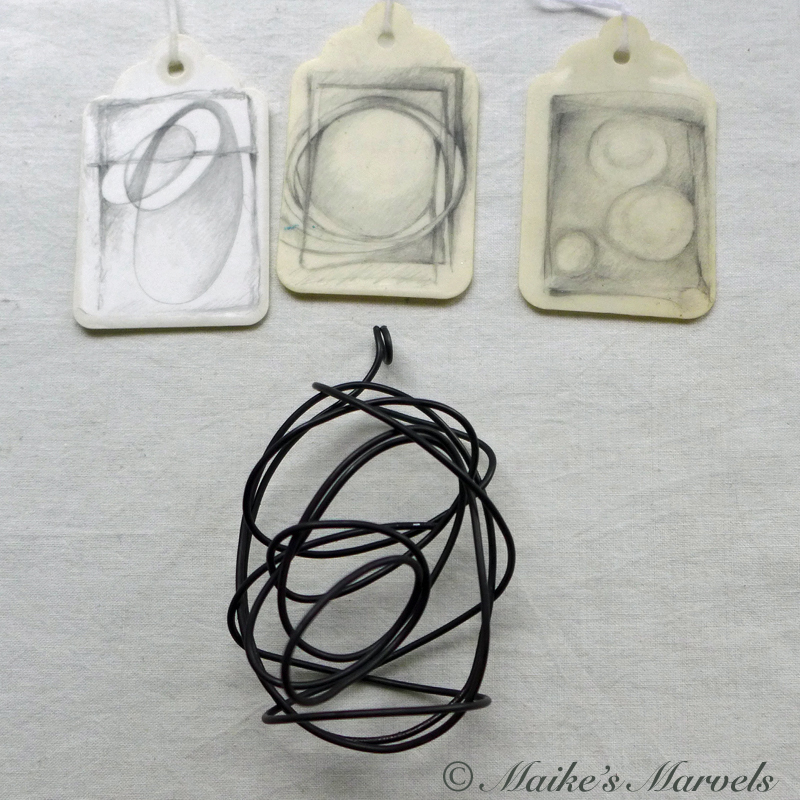 How Meta, wire artists inspiring you with designs by other artists for your Artists Inspiration Challenge! Meanwhile, if you’re near Michigan, you’ll want to pop over to Carol’s Facebook and see all the awesome exhibits she is part of. She posts more daily updates on Instagram. 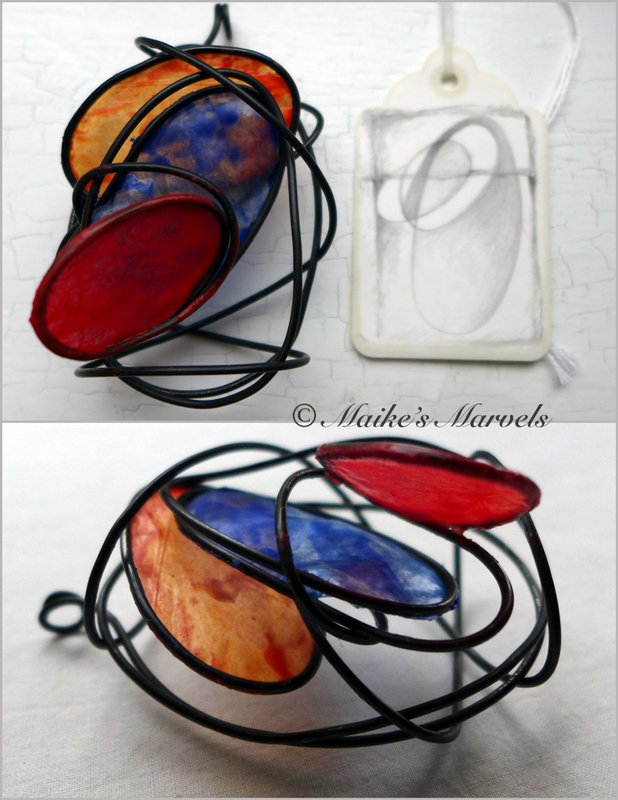 This entry was posted in Art & Culture and tagged Artist Inspiration, Brenda Schweder's Now That's A Jig!, Carol L Myers, Carol Myers Encaustic Artist, encaustic artist, JigUFacturer, JigUFacturer Design Challenge, JigUFacturer Design Team, Now That's a Jig, NtAJ, wax and wire, Wirebending.